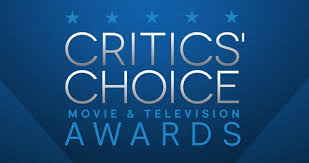 Critics Choice Award Nominees 2016 | What to Watch. Bill Hader for Documentary Now! This entry was posted in 2016, Award Shows, films, Lists, movies, Top Films..., Tv shows and tagged 10 Cloverfield Lane, 2016, 20th Century Women, A Monster Calls, Alec Baldwin, Alex R. Hibbert, All the Way, Allied, allison janney, Allison Williams, America's Got Talent, American Crime, American Crime Story, Amy Adams, Andre Braugher, Andrew Garfield, Anna Chlumsky, Anna Paquin, annette Bening, Anthony Anderson, Anthony Bourdain, Anthony Bourdain: Parts Unknown, Archer, Arrival, atlanta, Barry Jenkins, Baskets, Batman v Superman: Dawn of Justice, Ben Foster, benedict cumberbatch, best acting ensemble, best action movie, best actor, best actor in a comedy, Best Actor in a Comedy Series, Best Actor in a Drama Series, Best Actor in a Movie Made for Television or Limited Series, best actor in an action movie, best actress, best actress in a comedy, Best Actress in a Comedy Series, Best Actress in a Drama Series, Best Actress in a Movie Made for Television or Limited Series, best actress in an action movie, Best adapted screenplay, best animated feature, Best Animation Series, best cinematography, Best Comedy, Best Comedy Series, best costume design, best director, Best Drama Series, best editing, best foreign language film, Best Guest Performer in a Comedy Series, Best Guest Performer in a Drama Series, Best Hair & Makeup, Best Movie Made for Television or Limited Series, best original screenplay, best production design, Best Reality Series Host, Best Reality Show - Competition, Best Sci-Fi/Horror Movie, best score, best song, Best Structured Reality Show, best supporting actor, Best Supporting Actor in a Comedy Series, Best Supporting Actor in a Drama Series, Best Supporting Actor in a Movie or Limited Series, best supporting actress, Best Supporting Actress in a Comedy Series, Best Supporting Actress in a Drama Series, Best Supporting Actress in a Movie or Limited Series, Best Talk Show, Best Unstructured Reality Show, best visual effects, Best Young Actor/Actress, Better Call Saul, Bill Hader, Black-ish, Blunt Talk, bob odenkirk, Bob's Burgers, BoJack Horseman, Brooklyn Nine nine, Bryan Cranston, Caesar!, Caitriona Balfe, Captain America: Civil War, Captain Fantastic, Carson Daly, Casey Affleck, Central Intelligence, Chopped, Chris Evans, Chrisley Knows Best, christian slater, Christine Baranski, Confirmation, Constance Wu, Constance Zimmer, Courtney B. Vance, Critics Choice Award Nominees, Critics Choice Award Nominees 2016, cuba gooding jr, Cynthia Nixon, damien chazelle, Dancing With the stars, David Mackenzie, Deadliest Catch, Deadpool, Denis Villeneuve, denzel washington, dev patel, Doctor Strange, documentary now, Don't Breathe, Don't Think Twice, Donald Glover, Dwayne Johnson, Elizabeth Debicki, Elle, Ellen Burstyn, Ellie Kemper, emilia clarke, emily watson, Emma Stone, Evan Rachel Wood, Fantastic Beasts and Where to Find Them, felicity huffman, Fences, Finding Dory, Fleabag, Florence Foster Jenkins, Forest whitaker, Frank Langella, Fresh off the boat, Full Frontal with Samantha Bee, Gal Gadot, Game of Thrones, Ghostbusters, girls, greta gerwig, Hacksaw Ridge, Hail, Hailee Steinfeld, Hell or High Water, Hello My Name is Doris, Hidden Figures, Homeland, House of Cards, how to get away with murder, Hugh Grant, Hugh Laurie, Ice Road Truckers, Inside Amy Schumer, Inside the Actors Studio, Intervention, Isabelle Huppert, Jackie, Jane Krakowski, Janelle Monáe, Jared Harris, jason bourne, jeff bridges, Jeffrey Dean Morgan, Jeffrey Tambor, Jimmy Kimmel Live!, Joel Edgerton, John Lithgow, john travolta, Jon Voight, Judith Light, Julia Louis-Dreyfus, Julie Bowen, Julieta, Kate Beckinsale, Kate McKinnon, Kenneth Lonergan, keri Russell, Kerry Washington, Kevin Spacey, Killing Reagan, Kit Harington, Kubo and the Two Strings, La La Land, Lane Garrison, Larry David, Last Week Tonight with John Oliver, Lena Headey, Lewis MacDougall, liam neeson, Liev Schreiber, Lili Taylor, Lion, Lisa Bonet, Lisa Kudrow, Live by Night, Louie Anderson, Love & Friendship, loving, Lucas Hedges, Madina Nalwanga, Mahershala Ali, Manchester by the Sea, Mandy Patinkin, Margot Robbie, masterchef junior, matt damon, Matthew Rhys, Maura Tierney, mel gibson, Melissa Leo, Meryl Streep, Michael J. Fox, Michael Shannon, Michelle Williams, Moana, Modern Family, mom, Moonlight, Mr. Robot, Naked and Afraid, naomie harris, Natalie Portman, Neruda, Nick Cannon, nicole kidman, Nocturnal Animals, Olivia Colman, orphan black, outlander, Patrick Stewart, Penn & Teller: Fool Us, Peter Dinklage, Phoebe Waller-Bridge, Project Runway, Queen of Katwe, Rami Malek, Ray donovan, Regina King, Robin Wright, Roots, Rules Don't Apply, RuPaul, RuPaul’s Drag Race, Ruth Negga, ryan gosling, ryan reynolds, Sally Field, Sam Heughan, Sarah Lancashire, Sarah Paulson, Saturday Night Live, Scarlett Johansson, Shark Tank, silicon valley, Sing Street, Skin Wars, Son of Zorn, South Park, Star Trek Beyond, Sterling K. Brown, Stranger Things, Suicide Squad, Sully, Sunny Pawar, T.J. Miller, tatiana maslany, Ted Allen, Thandie Newton, The Abominable Bride, The affair, The amazing Race, The Americans, The big bang theory, The Crown, The Daily Show, The Dresser, The Edge of Seventeen, the good wife, The Handmaiden, The Jungle Book, The Last Man on Earth, The Late Late Show with James Corden, The Lobster, The Nice Guys, The Night Manager, The Red Turtle, The Salesman, the simpsons, The taste, The Tonight Show Starring Jimmy Fallon, the voice, the walking dead, The Witch, This is Us, tilda swinton, Tim Matheson, Tituss Burgess, Tom Bergeron, tom hanks, Tom Hiddleston, Toni Erdmann, Tony Hale, Tracee Ellis Ross, transparent, trolls, Ty Burrell, Unbreakable Kimmy Schmidt, Undercover Boss, Unreal, Veep, Viggo Mortensen, viola davis, Westworld, Will Forte, Zootopia. Bookmark the permalink.